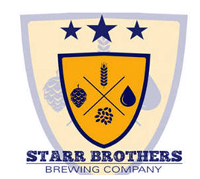 Starr Brothers Brewing is a local brewery that serves meticulously crafted beer and gourmet offerings. Always fresh and locally sourced. Stop by and enjoy a cold glass of crafted brew anytime of day, 7 days a week.